How often you take a screenshot on your mobile or capture an image that you need to transfer to desktop? How often you need to do the same for a video captured via mobile? I’m sure you must be using the default way like everybody to transfer media files from mobile to computer. Today, I will be sharing a smart way that not only saves time but will improve your workflow. Especially for bloggers, designers this is going to be a great trick to transfer and edit the images/videos quickly & effectively. I couldn’t stress more on the importance of software’s like Snagit (For images) & Camtasia (Videos) for a blogger. For me, they are an integral part of my day to day activity & that’s why I have listed them in the official ShoutMeLoud blogging resource. Both the software is by a company call TechSmith that was founded in 1987 & I love them for their innovative creations that makes the life easier for many users like you & me. If you haven’t used Snagit or Camtasia, I suggest you to download it right now. 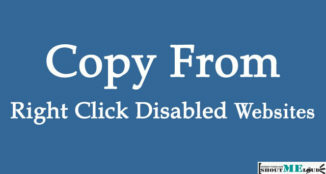 It’s available for all desktop OS & you can get fully featured 30 days free trial to test the tool. I have done this video on Snagit which would give you an idea of what this awesome image capture & editing tool can do for you. Getting back to the topic of this article, which is transferring media files from mobile to desktop. TechSmith offers a free mobile app call Fuse, which I’m pretty sure you are going to love. 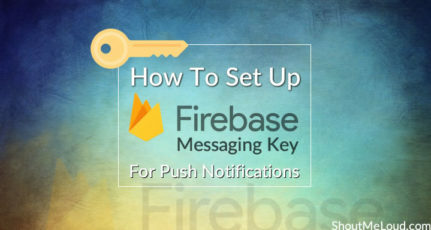 In this guide, I will share what Fuse app is & how to use it. 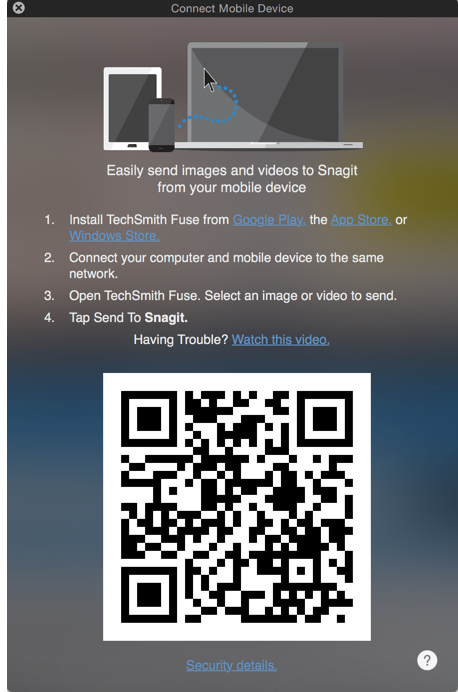 TechSmith Fuse app lets you click images, create videos & share instantly to Snagit or Camtasia on the desktop. You can also browse your existing smartphone media library & select files to transfer it to desktop. This free app is available for iOS, Android & Windows Smartphone. Fuse app also has a feature to enhance your captures using Freehand drawing tool that is useful. To make the transfer work, your SmartPhone & computer should be connected to the same network. 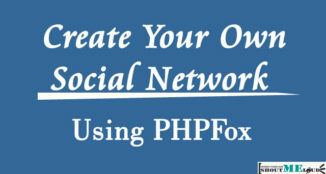 Let me show you how to connect them using Snagit. You need to scan this QR code using Fuse app on your smartphone. Open the Fuse app & click on Settings (I’m using iOS & Android UI might be slightly different). Select Snagit or Camtasia, which ever software you want to connect to & click on Connect new device. Scan the QR code & now you are all set to transfer photos or videos from your mobile to a computer with one click. Once your Fuse app is connected to Snagit or Camtasia, transferring photos or videos is quite easy. 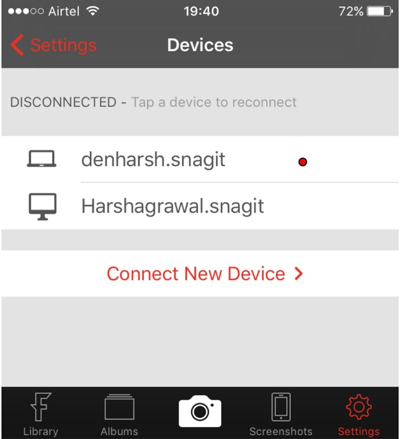 Using Fuse app, you can also take new photos or videos & transfer it quickly. You can also click on Albums & transfer previously taken photos or videos. 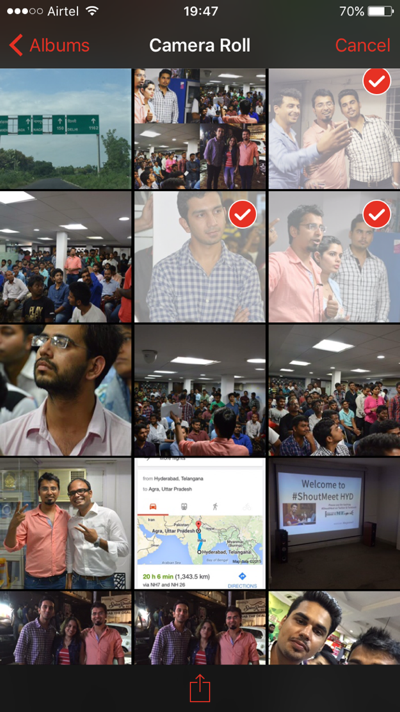 In this case, I have selected the photos that I have clicked earlier. After selecting photos & videos that you want to transfer, click on share icon at the bottom. On the next page click on Share & select the software (Snagit, Camtasia, TechSmith Relay). Within seconds, your selected photos or videos will be transferred to Snagit & from here you can do all the editing & image tuning. Usually, I transfer photos for my blog post using Fuse + Snagit & for videos I use Camtasia. 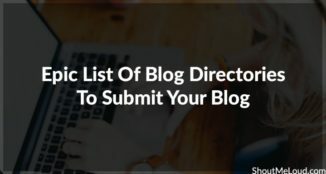 There are many other ways by which you can transfer media files from mobile to desktop, but for a blogger & a webmaster perspective, I found Fuse app to be perfect. 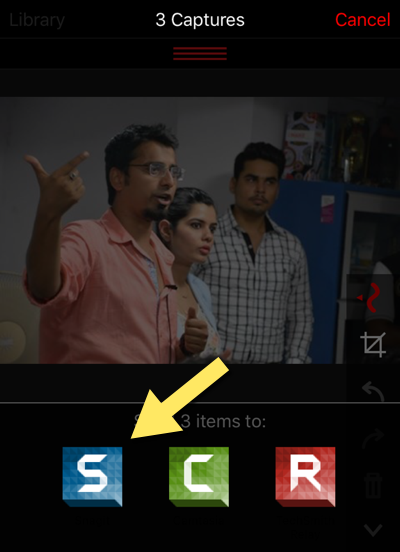 More over, with Camtasia you can also record your smartphone screen to make screencast of mobile app. I will talk about this in upcoming articles, for now go ahead & take a 30 days fully-featured free trial of Camtasia & Snagit. Use Fuse app to quickly transfer your smartphone photos/videos & let me know how it goes for you. Thanks Harsh for Useful Tip. I will use this. You are true & My fav app for doing this is Super beam. Harsh, you are awesome. Some times I forgot to carrying USB and I want to save the photos and videos on my desktop. This App solved my USB card problem. really liked this app, thanks. Earlier I knew to transfer any media from mobile to pc by bluetooth in mode of wireless. But it works limited Range as we know. But Now Snagit provides us freedom to break limitations. Thank @harsh to provide much usefull info. Good trick bro. Using this method we can directly edit our photos as soon as they’re received to PC. Yah! That’s the major benefit of this app as it improves the workflow & save a lot of time. I use Xender often it’s an handy tool to get things done. We can use it for both inter-mobile & pc to mobile connection no need of external WiFi. There are a lot of methods you can use to transfer photos from mobile to your computer. The one you provided below is one of them. I mostly prefer to use DropBox, but when the DropBox is unavailable, I will try your method. I really love the idea of being able to transfer media files from mobile phones to desktops without the use of cables, its really a no brainer. There are sometimes you might need to do such very very urgently but you won’t be with any USB cable and that will cripple the task but with this idea, it will become very easy and straight forward. There are sometimes you might need to do such rgently but you won’t be with any USB cable and that will cripple the task but with this idea, it will become very easy and straight forward.